Hi everyone, welcome back to Fantastic Designer Friday, it’s me Jo! If you’re not familiar with my work, you can find me at my Blog and YouTube Channel: PaperDrama. So for today’s project I created a layout using our brand new line called the FLAT FABIO. Currently we have one set of colors and that is the Caribbean Cruise Set. I used all five colors. 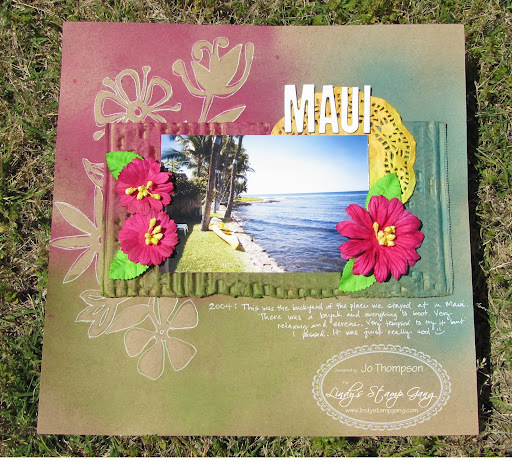 These colors were perfect my Hawaiian layout, the photo was taken at Maui, HI. 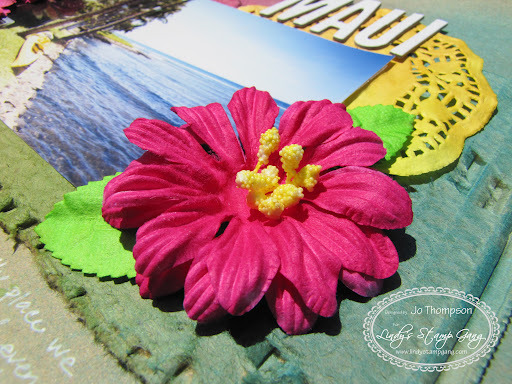 I laid a floral mask in the background and sprayed the colors: Hibiscus Rose, Luscious Lime and Caribbean Blue. These colors blended so well with one another. To make the floral pattern stand out more I used a white gel pen to draw the outline. I used the same three colors again and sprayed it on some scrap piece of corrugated cardboard I had laying around. I then used the colors: Mango Mania and Pineapple Paradise for the doily. 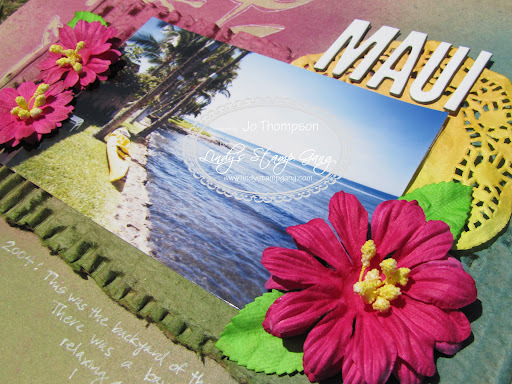 As for the flowers, I used the colors: Hibiscus Rose, Luscious Lime and Pineapple Paradise. You can watch my start to finish video here for a more detailed look. Thanks so much for taking the time to stop by. ‘Til next Fantastic Designer Friday, have a great weekend everyone!